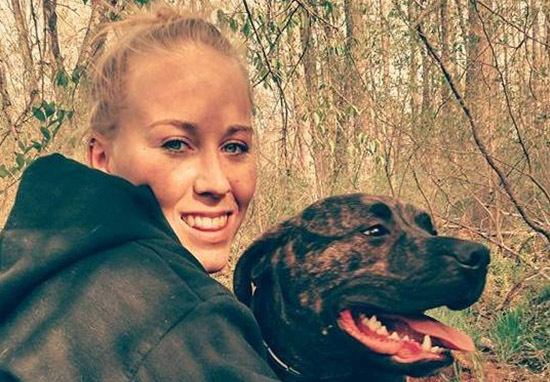 After a woman was found dead in a Virginia wood, police determined she was mauled by her own dogs, but now, the necropsies of the pit bull terriers has revealed the gruesome truth. 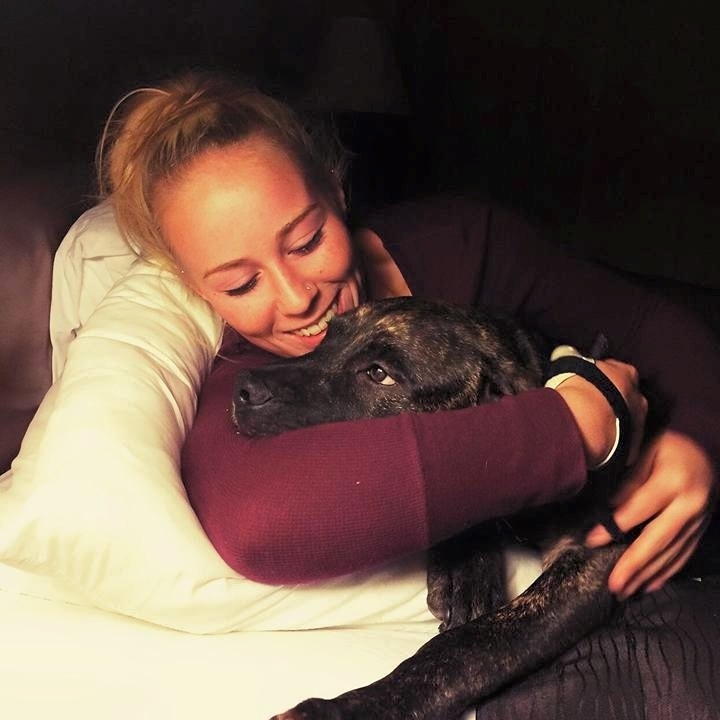 The body of 22-year-old Bethany Stephens was discovered in a wooded area in Goochland County on the night of December 14. When police arrived at the scene, County Sheriff James Agnew described to journalists, deputies witnessed the animals eating at Stephens’ ribcage. 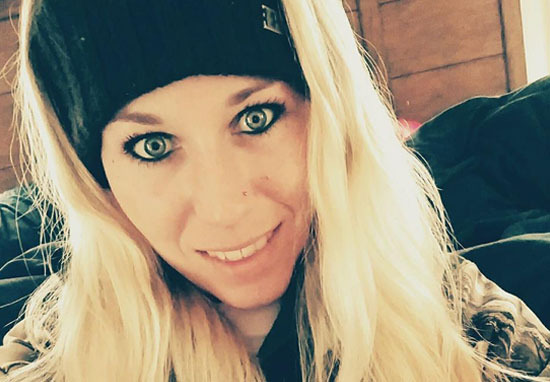 Her dismembered body was found naked except for one boot. Local news broadcaster WTVR reported ‘long, wavy hairs consistent with human hair’ were found in the dogs’ faeces – the results of the autopsy will be sent to a lab for further testing, which the sheriff said would confirm the discovery. It’s also been reported the two dogs, Tonka and Pac-Man, were born from the same litter about two and a half years ago and have since been euthanised as a safety precaution to the community, with the family’s consent. Stephens first adopted Tonka as a puppy and then Pac-Man about a year later after he’d been handed between several owners over a short period. While Tonka had been neutered, Pac-Man hadn’t. Pac-Man was rehomed after snapping at its owner while she was pregnant – the friend who took Pac-Man lost their home so the dog was passed on to another friend before being returned to its original owner. Stephens rehomed Pac-Man despite being warned he was abused and known to snap, with her father reportedly telling her the dog was ‘dangerous’. Authorities ruled out foul play by performing CAT scans and X-rays on Stephens before the autopsy, so they could rule out homicide – there were no broken bones, signs of strangulation, or any indication of sexual assault. Toxicology test results on Stephens will be returned within 90 days and the second lab results on the dogs should be completed soon. Most dogs aren’t going to just turn on an owner. As more and more details come out, I think there probably was some sort of outside influence, but not necessarily another animal or anything like that – just something that could have enticed the dogs to get overexcited and react the way dogs will. 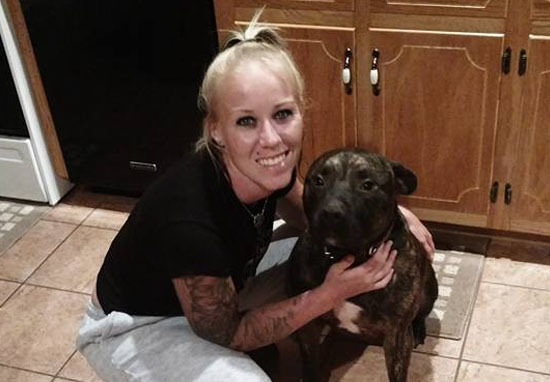 The fact that they are pit bulls doesn’t connect to what they did, it’s a dog thing. It’s clear from Bethany’s social media posts she had a very close, loving relationship with her dogs.